You can also use WP-CLI to import larger databases. Most of the values will be pre-filled for you, you just need to copy the password (which we tried to make pleasant; try clicking the password field!). You can access your database from a local tool like MySQL Workbench, HeidiSQL or mysql client if you open an SSH tunnel. 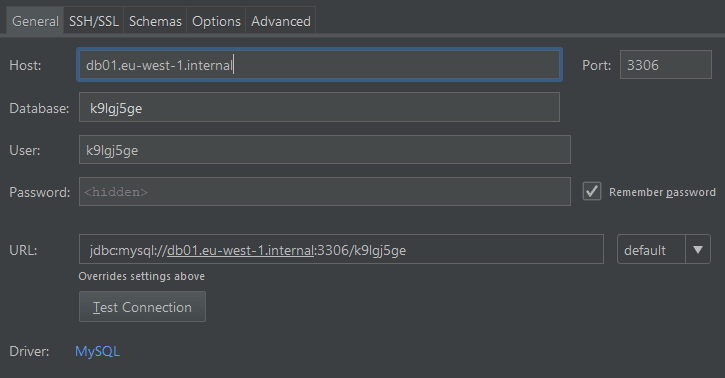 Some GUI tools will even automate this for you, see how to connect from PhpStorm as an example. 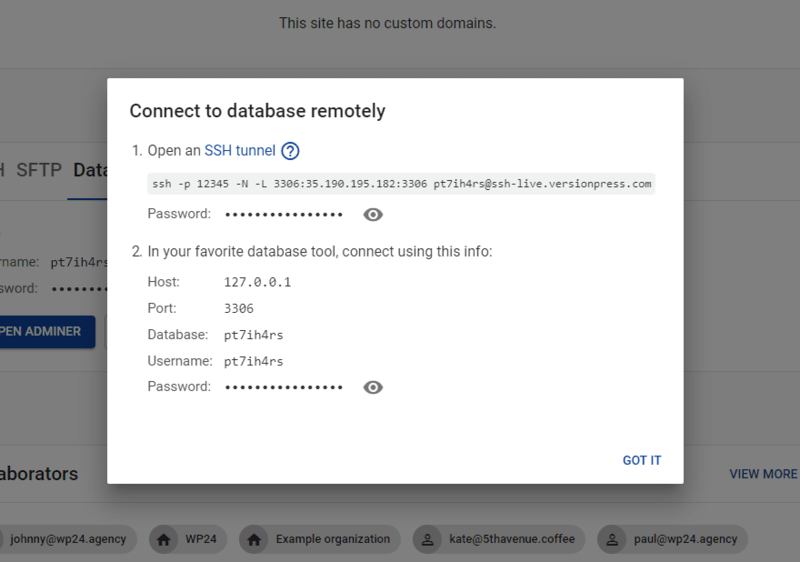 This method works for all local tools as it makes the database appear to be running locally – after the tunnel is open, the tools just connect to 127.0.0.1:3306. Some tools can work over SSH tunnels directly. Our example will be PhpStorm but other tools work similarly, see e.g. HeidiSQL. The actual Host value will be something like 35.190.195.182, the screenshots are not updated yet. Note, however, that in PhpStorm, the value is not 127.0.0.1. For smaller database dumps of up to about 50 MB, you can use Adminer to import it conveniently. 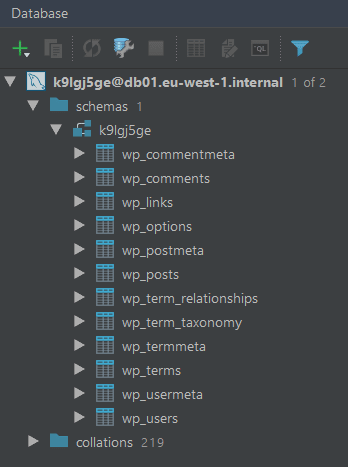 Run wp db reset and wp db import <file>.